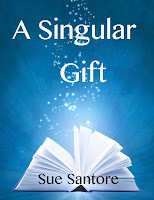 Ana Mardoll's Ramblings: Author Interview: Sue Santore on "A Singular Gift"
Author Interview: Sue Santore on "A Singular Gift"
Ana: Today we have Sue Santore introducing their novel, "A Singular Gift". I haven't read this book myself, but Sue was kind enough to agree to guest blog about their book to any readers who might be interested in the subject. Sue, how would you describe your novel to your prospective readers? In broad terms, what is your novel about? Sue: "A Singular Gift" is a stand-alone fantasy novel about a young girl, Jean Ryan, and her struggles to learn to use her recently inherited magic gift. As she learns how to use her magic, she skirts a dangerous edge. Does all power corrupt? Learning to use her magic, forming a teenage magic circle, combating evil adult magic users. Jean must use all her wits and the magic her grandmother has left her because as she solves one problem, another pops up. At the end, she faces an evil she never dreamed of. Sue: My main theme is that we are all responsible for our own actions. This is shown in several places through the book. Jean's growth as a person is an important part of the story. One sub-theme is that family and friends matter. Another sub-theme is that to stand for good is to take action against evil. Good cannot be passive, but must be active. This is a classic good versus evil story. Sue: I wrote "A Singular Gift" because I wanted to finish a story I had started over 20 years ago. I wanted to prove to myself that I could do it. I wanted to write about a girl at odds with her sister who is given the perfect way to get revenge on her--using magic. I wanted her to come-to-realize what harm she was doing to herself. As I wrote it, the book morphed into more--Jean saving the world. First and foremost, I wanted to write a good story that the reader has a hard time putting down. Sue: It is very difficult for me to compare "A Singular Gift" to another book. One of my seventh grade beta readers (who reads a lot) stated that one reason she really liked the book was that it was different from other books. I may sound presumptuous, but in some ways, Jean in "A Singular Gift" is comparable to Harry Potter. At first she doesn't know she has magical ability. She has to work hard to learn to control it. In the end, she has to stand alone against evil. If you like clean fantasy books about magic with no foul language or graphic violence, try "A Singular Gift". 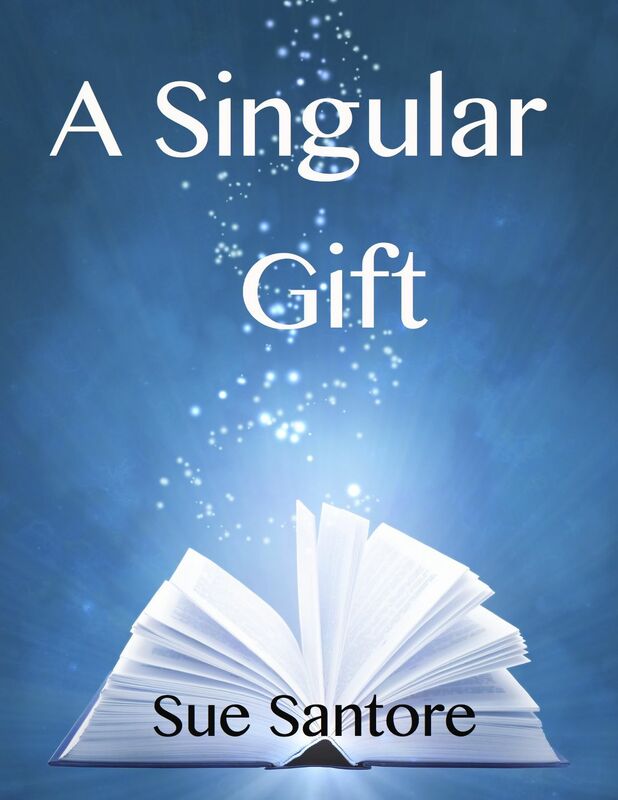 Sue: "A Singular Gift" is the only novel I have currently available. Many years ago I wrote a category romance which was published by Silhouette Books, an imprint no longer available. I have requested the rights for that book to be returned to me and intend to self-publish it when I officially receive my rights back. That will be in early 2012. I am currently writing a related book about Jean and Wayne, my main characters in "A Singular Gift". I have a young adult science fiction in progress. I'm also working on a Christian fiction novel. Sue: A Singular Gift is available for purchase for 2.99 at Amazon and Smashwords. Ana: Thank you, Sue. I understand you have the first chapter of your novel available as an excerpt for interested readers? And is there anything else you wish to add for our readers? Sue: An excerpt is available online at Smashwords. Please visit my blog to sign up for updates. You can find me on Twitter or email me at first name, dot, last name at Yahoo dot com.